Travelers arriving at Chattanooga Metropolitan Airport are getting an eye opening experience. Visitors are surprised to see toothy alligators and snapping turtles at the Tennessee Aquarium – located nearly 10 miles away. It’s part of a live streaming video experience showcasing Chattanooga, Tennessee’s powerful Internet of Things (IoT) capabilities. Airport travelers can watch an Alligator Bayou habitat on a 98” ultra high definition (UHD or 4K) screen. Chattanooga is the world’s first municipality to demonstrate 4K video streaming over a metropolitan network. The optical network is powered by Nokia and owned by the Electric Power Board (EPB). Deployed in 2008, the Fiber-to-the-Home (FTTH) network earned Chattanooga the title of world’s first city to offer full gigabit Internet access coverage to residents and businesses. Chattanooga is continually looking for ways to enhance the city experience for residents and visitors. 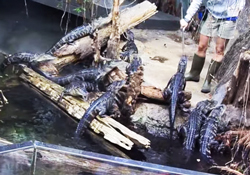 When Nokia’s ng Connect Program, dedicated to the creation of next generation connected user experiences, proposed a 4K video of alligators at the airport, the city snapped it up. EPB initially built the fiber network for its smart grid, but now also uses it to provide the city of Chattanooga with broadband connectivity that includes triple play services. In addition to more efficiently managing the city’s energy needs, the powerful IP network delivers HD TV, DVR and video on demand, as well as phone service via the Internet and the ability to upload and download data faster than ever before. Last November, EPB leveraged Nokia’s TWDM-PON solution to introduce 10 Gigabit community Internet service to Chattanooga’s 600-square-mile community of urban, suburban and rural businesses and residences. 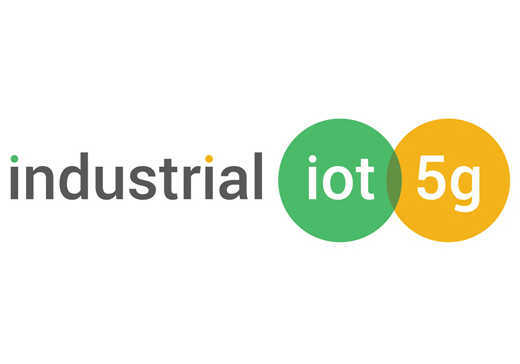 And now it’s also at the forefront of the IoT era, connecting billions of devices and people. EPB’s lightning fast network is a catalyst for new technology and service innovation in Chattanooga. The public introduction of the airport’s 4K video feed from the aquarium precedes the summer kickoff of GigTank, the city’s annual technology event for start-ups developing ultra high-bandwidth business applications. The fifth year for the event, GigTank connects budding entrepreneurs to the tools, capital and connections to go to market. By bringing them together with industry experts, business mentors and national thought leaders in broadband and entrepreneurship, the city seeks to fast track business development. As 4K cameras bring daily alligator feedings to the Chattanooga Metropolitan Airport, ng Connect is busy measuring the reactions of people versus more traditional airport signage. The information will be used by Chattanooga’s community leaders to assess the effectiveness of the digital campaign and how to monetize similar applications. Initial results are promising and potential next steps may include the introduction of interactive kiosks, streaming content that visitors can take away on their mobile devices, and new approaches for advertising. ng Connect eventually hopes to move the city from its current point-to-point application to streaming live interactive video to multiple points and locations. Chattanooga already has its sights set on streaming live ultra-high definition of its September Ironman competition to display locations beyond the airport. The city of Chattanooga attributes recent business development success to having the fastest metro-wide fiber network and largest footprint of ultra high-speed broadband users in the western hemisphere. By also creating a local culture that embraces and cultivates the entrepreneur spirit, the city is moving innovators from their technology ideas to delivering new end user services its citizens can enjoy, which ultimately makes Chattanooga a great place to live and work. Increasingly, cities across the U.S. are building out their own fiber networks to become a Gig City. As they do, IoT services supported by ultra high-speed broadband will grow, and so will the socio-economic benefits to their communities.